With two departure times offered each day, this boat ride is the perfect way to relax with friends or get away for a romantic lake tour. 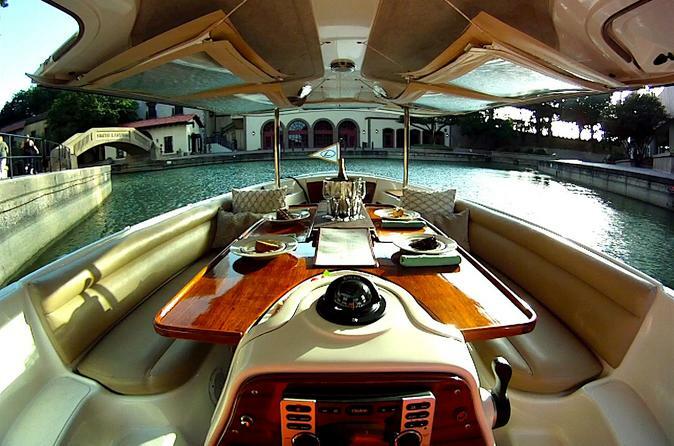 The boat cruises for one hour along the perimeter of Lake Carolyn and offers beautiful scenes of the lake which is nestled in Irving, TX, just a short drive from Dallas. With an experienced guide to point out local sights, riders can float under a kissing bridge, admire the sites of downtown Irving, sit back and enjoy the landscapes, and snap photos along the way. All tours depart from behind the Avocado Restaurant in Irving, TX. Please note, this boat tour is open to the public so you may be boarding a boat with others.